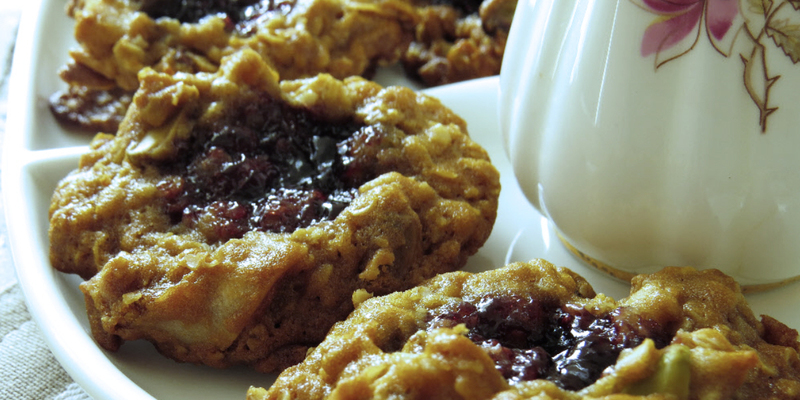 Do not overfill the indent with jam as it will overflow when cooking, and may be prone to burning on oven tray. If you don’t have coconut flakes, shredded coconut works perfectly well (flakes or ‘chips’ add a nice chunky texture however). Preheat oven to 180°C fan bake. Line baking trays with baking paper. Melt butter, golden syrup and brown sugar in a saucepan over a low-heat stove top. Stir to combine and sugar has dissolved. Remove from heat. In a separate small bowl, add baking soda to boiling water and stir until dissolved and frothy. Fold into golden syrup mixture, add rest of the dry ingredients and mix thoroughly. Spoon 1 tablespoon of mixture onto baking tray. Make an indent with your thumb firmly in the middle of each cookie. This is difficult to do when mixture is hot, hence more malleable when cooled. 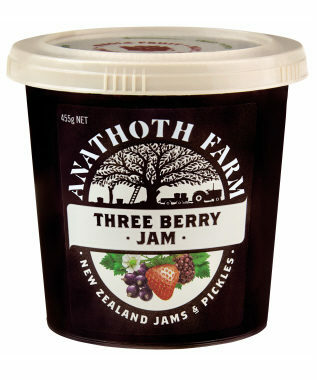 Spoon 1/3 teaspoon of your favourite Anathoth Farm jam into the indent. Cook for 12-15 minutes.